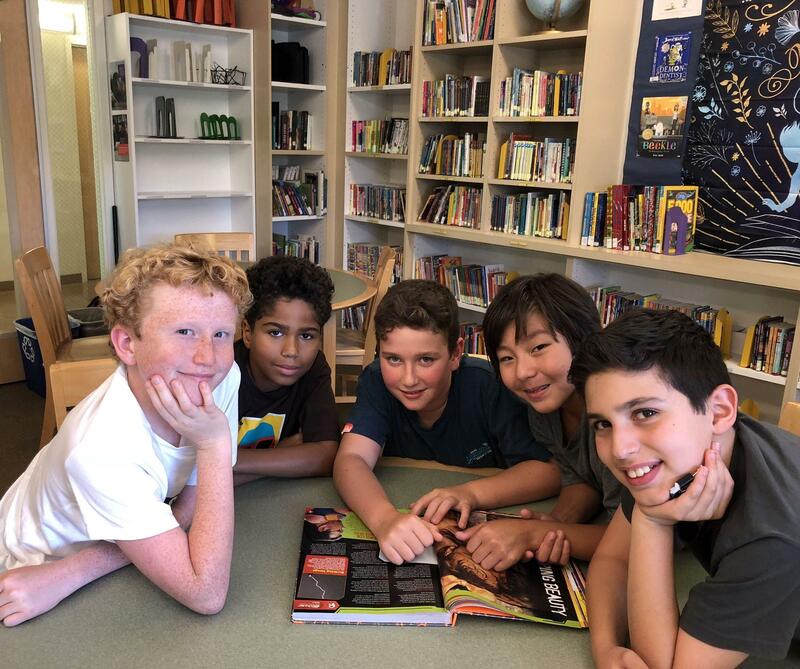 The Park Century School Library is the heart of our school - a space to spark inspiration, curiosity, and creativity in our students. Through the availability of resources, the library fosters a love of reading and learning with a diverse selection of books and information. Our library encourages curiosity by teaching research skills, illustrating how to evaluate sources and content, and providing high quality resources and publications. The library also supports students during the creation process by guiding them through the intricacies of digital citizenship, copyright issues, and proper citation in order to ground their creative processes in proper practices, allowing their work to shine. The PCS library houses approximately 5,000 unique titles of elementary, middle grade, and young adult reading materials, with books and electronic resources for early emergent readers and the highly fluent. The collection, roughly half fiction and half nonfiction, serves our diverse student population well, with an emphasis on print-based literature and nonfiction written in formats and language suiting a broad realm of reading levels and interests. We continue to develop a collection representative of our community with books covering multiple subject areas and plenty of fun free-reading choices. Our March Book Fair helps add more books to the library, the classrooms, and the specialists' rooms to enhance our students’ learning environment.